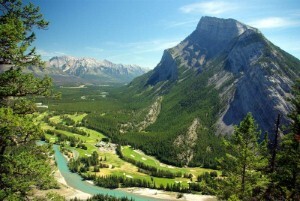 The winter sports market in Canada could be set for a boost in British visitors, it has been noted. According to media and public relations manager at the Canadian Tourism Commission Nim Singh, Vancouver's hosting of the 2010 Winter Games is set to see the country attract more visitors from overseas, including British tourists. "The UK represents about ten per cent of the market that comes to Canada, so that's traditionally been a growing area. In the last ten years, our numbers would have gone from 20,000 skiers a year to just up to 100,000," she said. According to the Ski Club of Great Britain, the most popular ski resorts in Canada are Banff, Fernie, Whistler, Tremblant and Lake Louise. Before Brits jet off to Canada, they might find it wise to check that they have ski travel insurance for winter sports - or they could even invest in a dedicated travel insurance policy.